Win one of four €250 gift cards for Peter Mark! To celebrate Valentine's Day this February 14th, the Sunday Independent has four Peter Mark gift cards worth €250 each to give away! To enter, simply complete the form below along with the unique code found in the Sunday Independent on Sunday, February 10th. 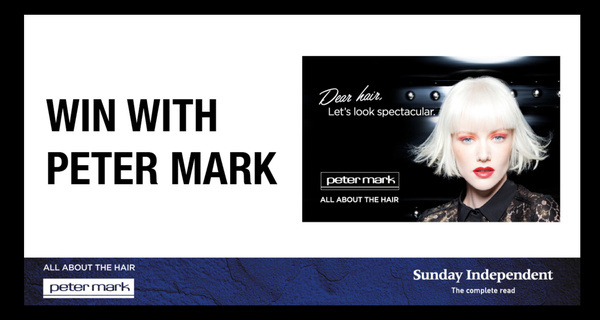 The competition is to win one of four €250 Peter Mark gift cards. To enter the competition, fill in your details and enter unique code found in the Sunday Independent on February 10th. The competition runs from February 10th until February 12th until 11.59pm. Winners will be notified by email and prize posted out to them.